The Rugby Africa Women’s Sevens Championship gets underway in Tunisia this week, on 16-17 September, with the winner booking their ticket to Women’s Rugby World Cup Sevens 2018. 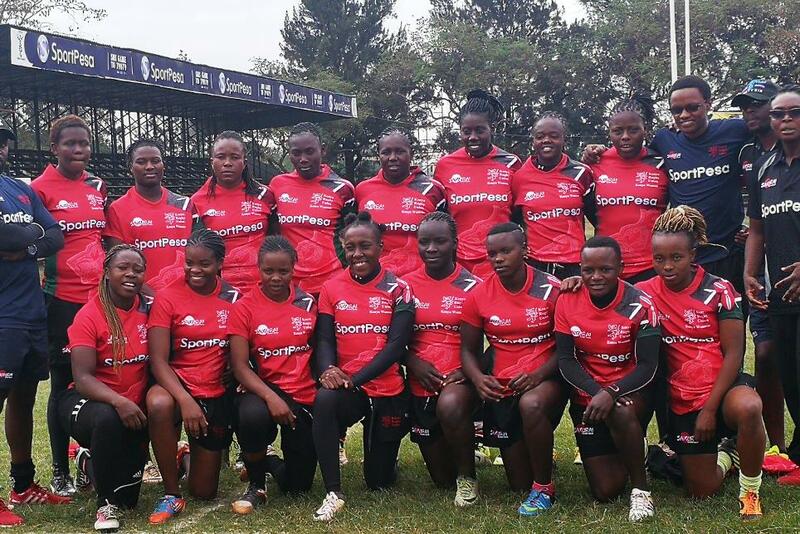 Kenya women’s sevens head coach Kevin Mwema says his team will give it all they have got in the forthcoming Rugby Africa Women’s Sevens Championship as they look to replace South Africa as the region’s representative on the Women’s Rugby World Cup Sevens stage. A dominant South Africa have competed at the two Women’s RWC Sevens tournaments held to date, at the inaugural event in 2009 and again in 2013, and will start as favourites to complete a hat-trick of appearances by qualifying as African champions. While only the winner of the Rugby Africa Women’s Sevens Championship will progress to San Francisco next year, the top-two Commonwealth countries will qualify for the rugby sevens tournament at the 2018 Commonwealth Games. Kenya report a clean bill of health going into the two-day tournament and Mwema is confident that they will put their "best foot forward" in the Tunisian city of Monastir. “Preparations have been good. We’ve been training for the past 11 weeks, and the team has responded well to their KPIs (Key Performance Indicators) and set targets and goals especially on skill development and strength and conditioning. We also had training camps to polish our patterns of play and technical approach. The girls are ready to take on the rest of Africa,” he said. "Getting to the World Cup is very important to us, it's the biggest sevens tournament there is and you get to rub shoulders and play with some of the best teams in the world"
“Our focus is to top our pool first. We can't talk about South Africa if we don't win against Zimbabwe, Madagascar and Senegal. That said, scores against Kenya and South Africa have been pretty close of late, especially the 2016 Africa Cup where we lost by five points," he said. “There is a good positive vibe in camp and we have worked hard to polish up on our technical approach and the conditioning aspect of our game. “The girls are definitely up for the challenge this time round. We are going to put our best foot forward and go for the win. “Getting to the World Cup is very important to us, it's the biggest sevens tournament there is and you get to rub shoulders and play with some of the best teams in the world,” he added. South Africa face games against Uganda, Tunisia and Morocco as top seeds in Pool A, and captain Veroeshka Grain (pictured) said the players were cautiously excited about the challenge ahead. “This is an important tournament for us, so there will naturally be nerves, but we are also very excited about the challenge,” said Grain. “We are going to Tunisia with one goal in mind and that is to win the tournament, and we intend to focus all our energy on achieving that. The Bok Women’s Sevens have an impressive track record in the Rugby Africa Sevens, as they won back-to-back titles from 2013 to 2016, after being crowned the champions in 2011 and from 2006 to 2008. “We have won the Rugby Africa Sevens in each of the tournaments that I have participated in, and that is a record that I would like to keep intact,” said Grain. “But with a Rugby World Cup Sevens place at stake this year, it makes it even more important for us to win. “Obviously what happened in the past will have no significance when we take to the field, and all the participating teams will have the same goal in mind, so it is important that we focus on our structures, take each game in our stride and ensure that we do our best in every match.